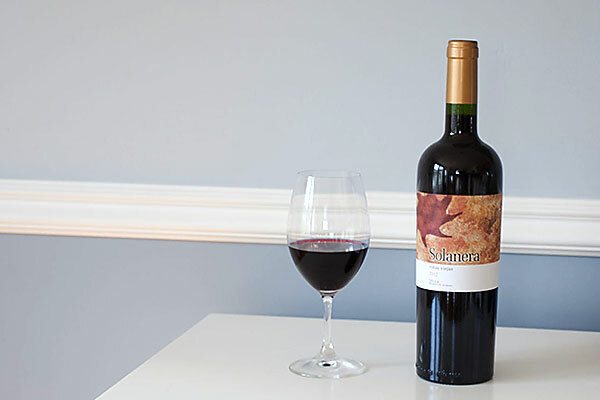 I recently tried this amazing and delicious Spanish wine, Bodegas Castano Solanera Vinas Viejas. The wine is a blend of 70% Monastrell, 15% Cabernet Sauvignon and 15% Grenache. All the grapes are grown in the tiny wine region of Yecla. Yecla is in the southeast corner of Spain. The Yecla D.O. is surrounded by Murcia, Jumilla and Almansa, all larger and more famous D.O.’s than Yecla. Until I purchased this wine, I had not heard of the Yecla wine region of Spain. I will have to learn more about Yecla and put it on my list of wine regions in Spain to visit. It sounds exciting. The principle grape of Yecla is Monastrell. I purchased this wine for $13.99 at my local wine shop. Big sign on the display, 94 Points from Robert Parker! I tasted the wine and found that is was truly a wonderful wine and such a value at the price of $13.99. It is a spicy wine and medium bodied. It has great red fruit flavor, especially red cherry. I think this is one of those red wines that is the perfect food wine and will go with salmon, poultry, pork and Paella. Eric Solomon is the importer of this wine. Eric brings in many Spanish wines to the U.S. especially from the Priorat and Montsant wine regions. This is definitely a good choice and I rate it at 89 Points. Use the Wine-Searcher to see if this wine is available in your area. If you have tried this wine or others from the Yecla region, please write your thoughts in the comment section below.